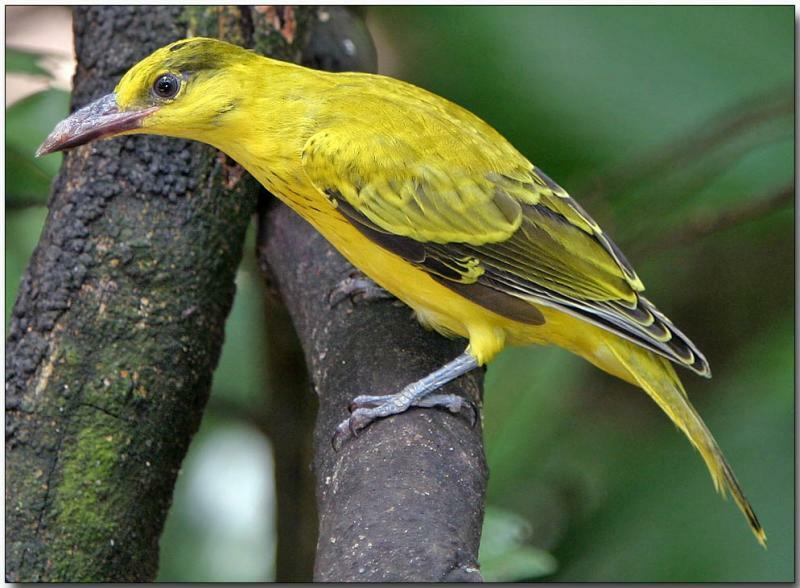 Black-napped Orioles are found in South East Asia, and are common in Singapore. They build a cup-shaped nest at a fork at the end of a slender branch high in a tree. They forage high in trees and usually say within the canopy, rarely descending to the ground. Nevertheless, they are not birds of the deep forest. Originally from coastal woodlands and mangroves, they have adapted to cultivated areas and parks and gardens. Black-naped Orioles enjoy a wide menu of plants and animals. They are fond of fruit and berries, particularly figs. Besides large insects, they also take small animals, including nestlings.